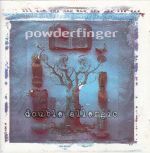 I usually like Powderfinger more when they rock out, and this album delivers on that regard. I don't enjoy it as much as some of their later albums however. A pretty cool album, but the next two were better. The singles are standouts here. One of their best, a truly spectacular collection. 'JC' and 'Pick You Up' are incredible.